Bloodborne (2015) is a third-person action role-playing game developed by FromSoftware (Tokyo, Japan), and published by Sony Computer Entertainment. 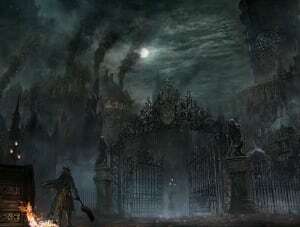 Players are presented with the Gothic world of Yharnam, a dark and haunted place swarming with nightmarish creatures the player fights while seeking remedy for a mysterious illness. 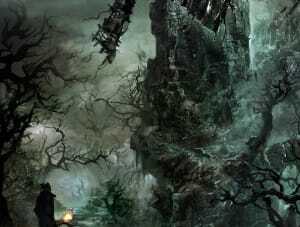 Although Bloodborne is obviously grafted onto FromSoftware’s two other hit titles, Dark Souls and Demon’s Souls, it has an identity of its own. 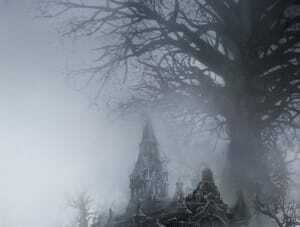 All three rely heavily on Game Director Hidetaka Miyazaki’s love for ‘Victorian’, ‘Gothic’ horror literature, such as Bram Stoker’s Dracula, and surreal horror stories like H.P. 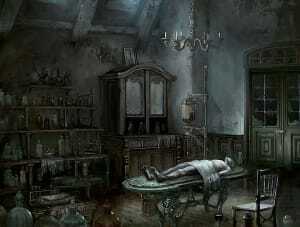 Lovecraft’s The Call of Cthulhu. Visually, the games are firmly rooted in both British Victorian-era architecture and the neo-Gothic building styles of Eastern European countries, which serve as the backdrop to a menagerie of visually striking monsters and violently deranged humans. 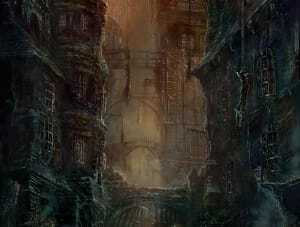 Despite the similarities in visuals, Bloodborne is no Dark Souls. The latter is heavier on the Medieval Gothic side, and emphasizes armor and shields in their knight-protagonists, while Bloodborne’s more agile fighters don oddball firearms such as blunderbusses, in an environment that historically sits much closer to our times. In the end, it’s gameplay that sets Bloodborne apart from its counterparts. With no shield to defend yourself, it’s up to your dodging and swift strikes to overcome an enemy, adding an element of tempo to FromSoftware’s ever-expanding range of Lovecraftian nightmare-games.